In the lead-up to Christmas, I want to tell you about two charities that are very close to my heart. The first of these charities is Movember. Their aim is to raise awareness about men’s health issues including prostate cancer, testicular cancer, mental health and suicide prevention. Many of my friends and family been affected by the illness (or loss of) a male role model, and I have seen the impact this has had on their lives (even years after the fact). Being a mother of 3 boys, a wife, a daughter, and a sister to two amazing brothers and three wonderful brothers-in-law, supporting male health (both physical and mental) has become even more important to me. I have been a radiotherapist for 13 years and I have treated thousands of men living with cancer (particularly prostate cancer). Even so, nothing could prepare me for the grief and confusion I felt when one of my grandfathers got sick very suddenly and subsequently died from cancer (I spoke about that in THIS POST). He was an amazing man who led our family through prayer and example, so I am dedicating my Movember participation to him. What Am I Doing for Movember? I can’t grow a moustache…at least not an impressive one, so I had to think long and hard about what I could do in support of Movember. There is this homeless man I pass on my way to work every day. He had been on my heart and mind for a while, but I didn’t just want to chuck money at him. I think it is so important that we ‘see’ people; that we realise they are (or used to be) someone’s son/brother/father/husband. It took me a while to work up enough courage to approach him, but 2 months ago I finally did (tentatively and very self-consciously). Now we talk each morning (which is how I found out he is on the street due to health issues). So for Movember, I have been (and will be) talking to him every day and buying him one hot meal each week. I will continue to do so for as long as he needs it. Mr. Lookatwhatimade will be dedicating his participation to his grandfather, who also died from cancer. 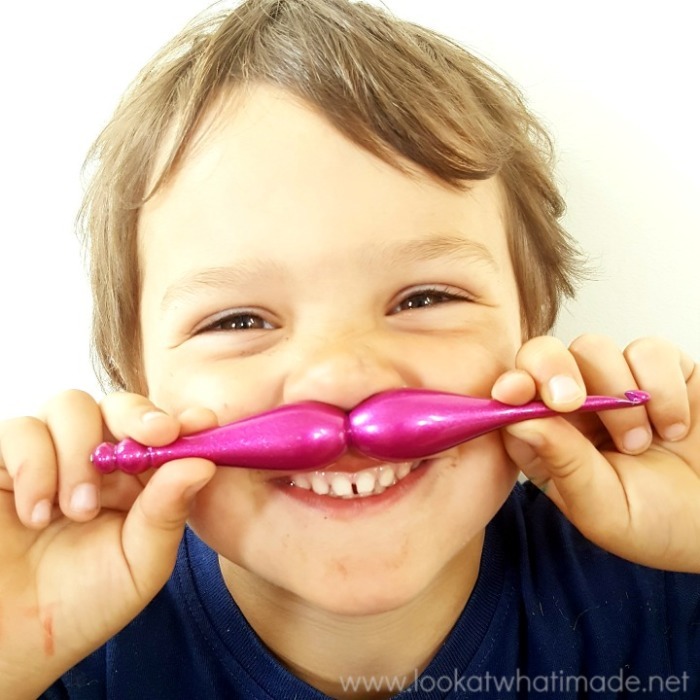 He can (and is) growing a moustache for Movember. 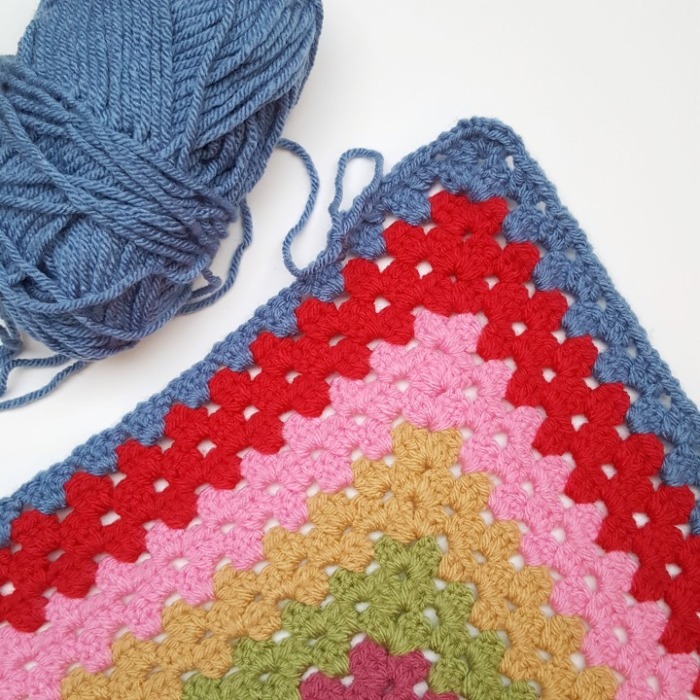 He has also promised to finish his giant granny square blanket, which is currently 5 rounds shy of being done. I have struggled with depression since I was a teenager. Because I am a ‘girl’, it has always been (relatively) acceptable for me to talk about this struggle. Even so, I rarely talk about it unless I need to (either because I need help, or to encourage someone else who needs help). When I talk about it, I feel like I am broadcasting a weakness, so I cannot imagine how hard it must be for a guy (expected to be a strong provider) to admit that he struggles with depression. This, more than anything else, is why I want to support this initiative to highlight and support male mental health issues. My radiotherapy colleagues and I (and Mr. Lookatwhatimade as an honorary member) have set up a Movember ‘Team‘. If you feel as strongly as we do about male health, and would like to sponsor us, you can sponsor Mr. Lookatwhatimade HERE and me HERE. We have set a target of £250 and all donations will go directly to the ‘Movember’ charity. If you are not in a financial position to sponsor someone, you can always support Movember by reaching out to a male in your life who has been affected by either cancer or mental health problems. 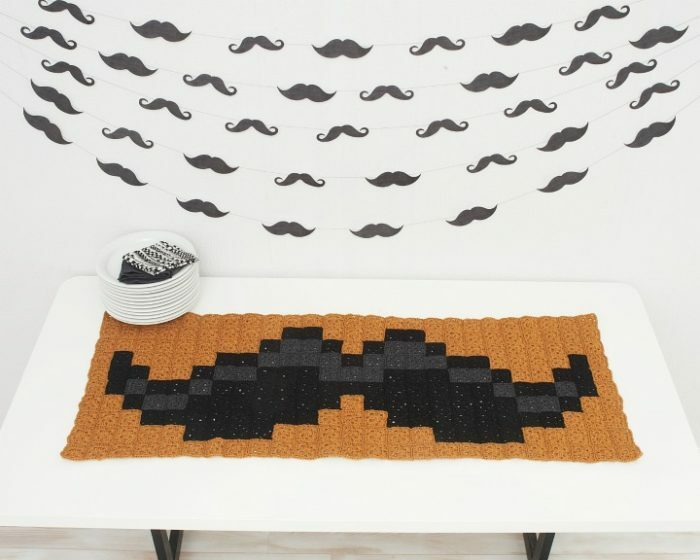 Because it fits in with the moustache theme (and because I haven’t shared it before), I thought I would show you the moustache table runner I made last year for the book ‘Pixel Crochet’ by Hannah Meur (available from Amazon.com and Amazon.co.uk). The table runner is 125 cm (50″) x 50 cm (20″) and required a total of 250 small grannies (which Jenny and Mr. Lookatwhatimade kindly helped me make). We used Debbie Bliss Cashmerino Aran. Near and dear to my heart, Dedri, both mental and physical health of our misters. Hi Dedri! What good thing to do :) Even though as I’ve gotten older, my moustache has become more and more impressive (especially after menopause…lol), its still not something I’d want to do :) So! Since I have a son who deals with depression and emotional issues (My mother was a boarderline personality disorder, and its hereditary) and PTSD from spending a year in Iraq, I want to participate in some way. Because of my son’s issues, he does not speak to his dad and I (profoundly sad, heart shattering), Just haven’t decided yet what I will do exactly. But I’m on it. Melissa, haha about your moustache. 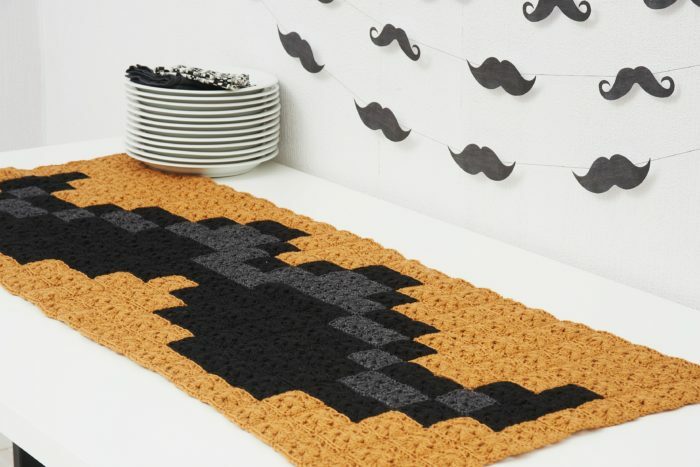 I am impressed with Mr. Lookatwhatimade’s crocheting skills. He’s done a great job. I look forward to seeing his finished project. Is he planning his next project? Thank you Mrs. and Mr. Lookatwhatimade for sharing.